The fourth view in the Image Browser should be used when a design is complete. 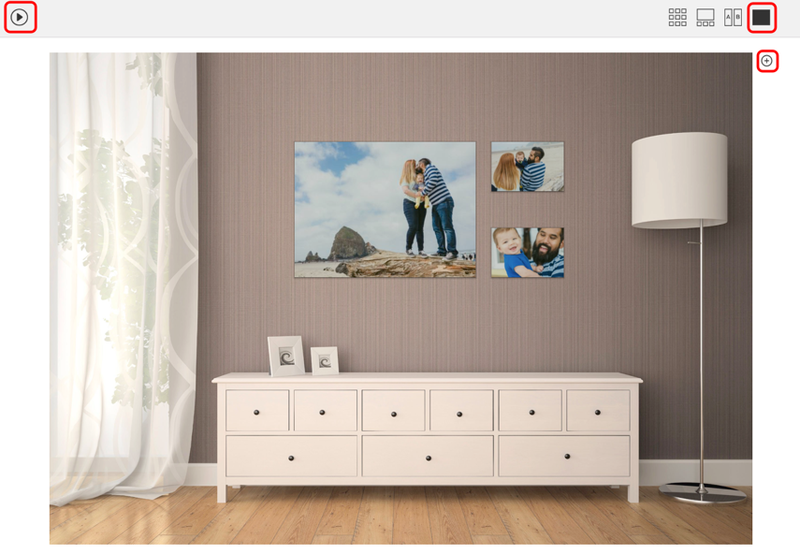 **The room that is displayed will be the room that is currently open in Designer View in the Gallery Designer module, or the album that is open in Album Builder. It will be blank if opened from Blog Collage or Image Brander. You will still be able to run a slideshow from Client View. This is a great tool for in-person sales sessions! Because the Image Browser opens into a new window, you can use a second screen or projector to show this view to clients, while using Design View on your screen to change rooms or make design changes as necessary- Client View updates dynamically! The "+" will allow you to add the currently viewed Room or album to the order.